RecruitWest specialises in the sourcing and supply of quality personnel for the mining and civil contracting sectors, and also have extensive experience in logistics and warehousing. 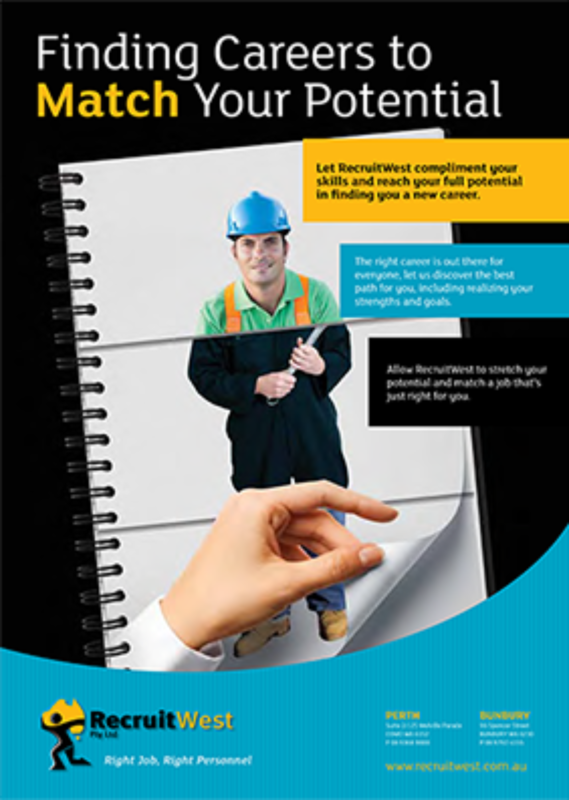 Indepth Design has an ongoing working relationship with Recruitwest, and recently completed a 12-month advertising campaign for them. Working alongside our professional Media Purchasing Partner, we delivered increased media presence through advertising and marketing campaigns. 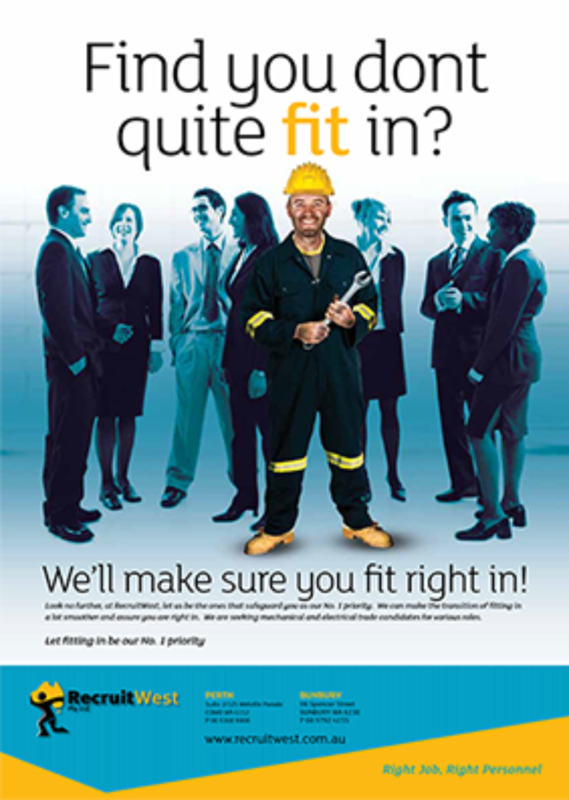 The primary aim of the Recruitwest campaign was to attract people looking for a change in their career or their environment. During the 12-month campaign, Indepth developed various projects and launched online banner adverts, radio adverts, airport advertising at both the domestic and international airports, and venue adverts to maximise the company’s reach within its target market.